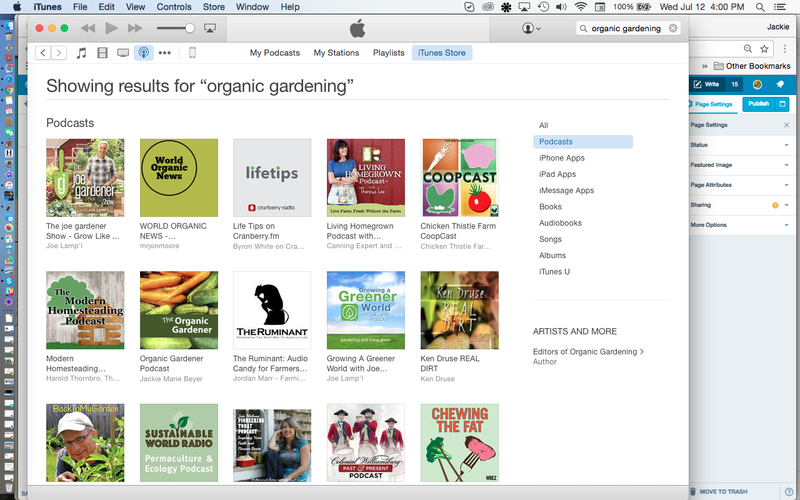 Have you received value from the Organic Gardener Podcast? Is there something you learned or liked specifically? 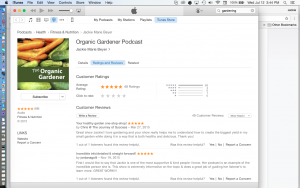 Do you feel the Organic Gardener Podcast deserves 5 stars? We would love it if you would share your opinion so others can find us on iTunes as well. To leave a review on iTunes from your computer or your phone just follow these easy steps. 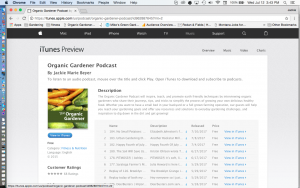 Tap the Search tab – THIS IS WHERE I ALWAYS GET LOST – don’t go to the Organic Gardener Podcast in the app go to the SEARCH tab.